SEASON: NOVEMBER 14. – APRIL 18. 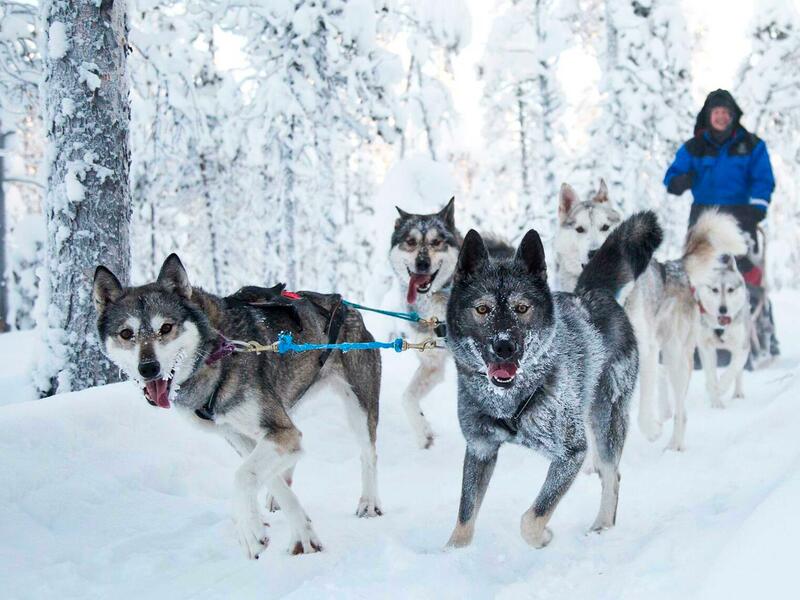 Spend an action-packed day, racing around on a husky sled, a sleigh pulled by reindeer, and a snowmobile in the vicinity of the Northern Lights Village! Guaranteed to leave you smiling and rosy-cheeked! All rides begin with a short instruction, after which you are ready to follow your guide into the forests and over the fells. Just signal the dogs and let’s go! And if your still ready for more, you can reserve Aurora Hunting by Heated Sleigh, where you are served an evening snack by the campfire while you gaze at the dancing Northern Lights.